Sinkholes occur due to erosion of ground or soil and are most common where large amounts of soluble ground, such as limestone terrain, is present. Smaller sinkholes are most common, but sinkholes can be large enough to swallow homes or damage entire roadways. You may suspect a sinkhole on your property if you notice cracks or small holes in your foundation. Water pooling in your yard or sinking structures are additional signs of a lurking sinkhole problem. 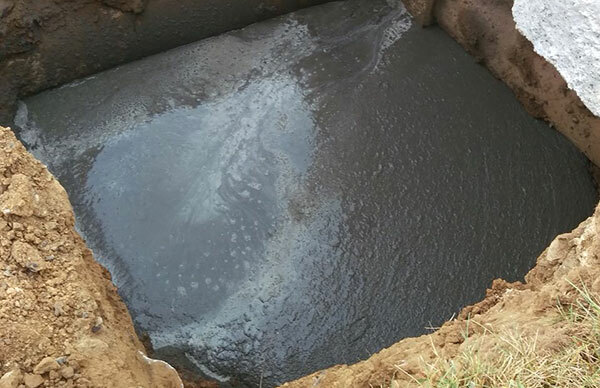 If you notice sinkhole activity on your property, contact Skiles Industrial Solutions for expert sinkhole repair services. We will assess your sinkhole signs and determine the best course of action to prevent further damage to your foundation.